Caroline & Marisa provide Reiki training courses on a one-to-one basis as well as private treatments for you and baby. Postnatal treatments are designed to help you to balance your hormones, aid physical recovery and release stress from the birthing experience as well as helping to relieve anxieties and help you to strengthen your bond with your baby. Being pregnant, having a baby and becoming a mother is a life-changing experience. Bonding with your baby is not always easy. Your body has experienced massive changes, your hormones are unbalanced and you are coping with sleep deprivation, possibly trying to breast feed your baby and recover from childbirth. If this is your first child you could feel in a state of shock, unsure of your parenting skills and whether you are providing your baby with everything she needs. With a variety of mixed guidance and support you may feel more confused than ever and unsure of what is best for you and your baby. By attending a one-to-one course you will learn Reiki and then receive a personalised experience in how to use the energy to support yourself and bring healing to your baby. Reiki can help ease postnatal depression, relieve colic and help soothe and settle baby. 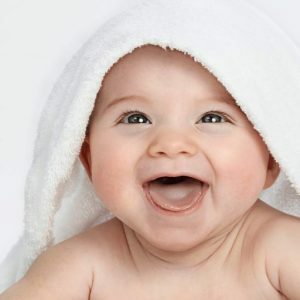 The course for you and your baby commences with a 90 minute Reiki training session including an attunement at a fee of £85, this is then followed with as many private sessions as you require at a fee of £45 for a 50 minute session. Postnatal healing treatments are 50 minutes long at £45, a course of 4 weekly sessions can be booked at a special rate of £160 (payable in advance). Please contact us on info@reikibabies.co.uk for more information or to book your space on one of our classes or workshops. Private one-to-one sessions are available as well as Skype/phone sessions too. NOW RUNNING – WEEKLY REIKI BABIES Mindful NATURAL HEALING CLASSES (TERM TIME ONLY). We are running weekly Reiki Babies Mindful Natural Healing Classes for prenatal mums and mums (and dads) and their babies, these weekly sessions are designed to introduce you to and explore healing energy. These classes are a space for you to feel supported on your journey as a new mum or dad, helping to ease worries, anxieties and empowering your natural ability to bond with your baby in a gentle, nurturing environment. With tips, techniques and mindfulness tools on how to calm, balance and relax, connecting with natural healing energy for yourself, your baby and your family. We also explore how our natural healing energy can help you connect with your baby, strengthen the bond and using the energy to help settle baby, ease colic or wind discomfort and bring relief to other ailments as well as helping you to trust your intuition more. 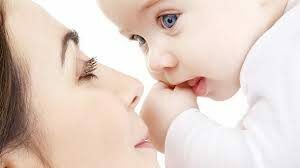 And, of course, receive some fabulous Reiki healing energy for yourself and baby, to really recharge, rebalance and boost your confidence in your natural intuitive bond with your baby. We are running our weekly session on Friday afternoons at 1pm – 2.00pm (term time only). The 60 minute session commence at 1pm at The Oast, Granary Close, Rainham, Kent, ME8 7SG. The cost for a 6 week term is £50 payable in advance. Space is limited to 6 participants. To book please email info@reikibabies.co.uk. NEXT GROUP REIKI mamas & papas training WORKSHOP DATE FOR PRENATAL & MUMS, dads & BABIES (term Time only). On Friday 13 July 2018 we will be facilitating a group workshop for pregnant mums and mums, dads and babies to learn Reiki. This workshop will focus on both giving yourself Reiki to support you pre and postnatally as well as how to give Reiki to your baby too. This workshop is personalised for mums to explore how Reiki can help support the family especially for connecting and bringing a nurturing healing experience to children. This is a fabulous opportunity to learn in a group environment at a group rate of £85 per person. The workshop will be limited to 4 participants and will commence at 9.30am, finishing at 12.30pm. You will receive your Reiki One attunement and also receive guidance on how to give Reiki to yourself, your baby and your friends and family.